An architectural masterpiece still under construction. It’s astounding. That’s why we visited it and why 60 Minutes profiled it. Look below to get a link to that segment. 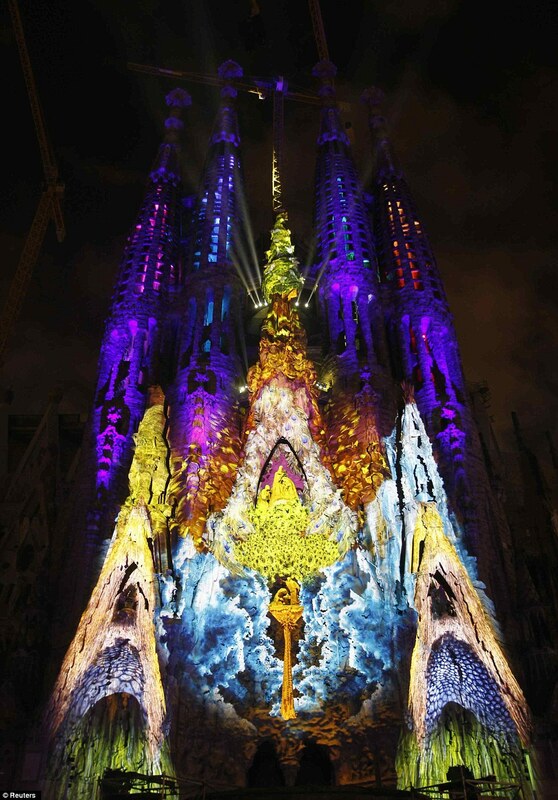 The Sagrada Familia is a masterpiece 125 years in the making. 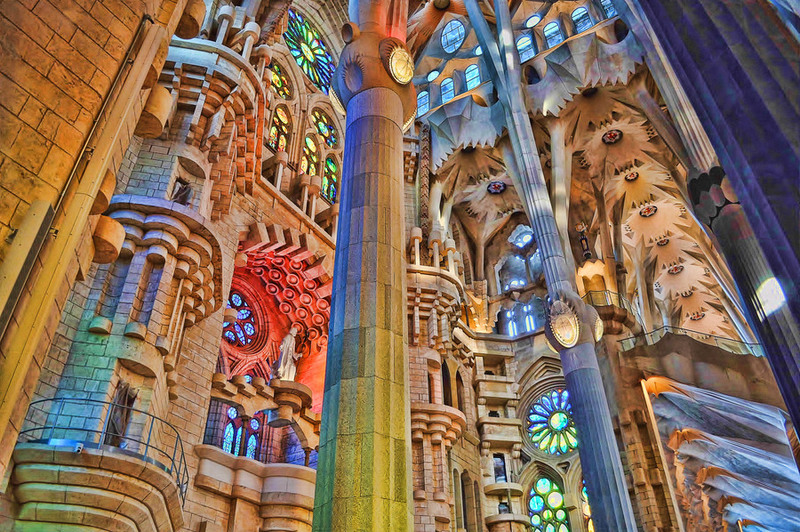 When you look at photos of the Sagrada Familia Basilica in Barcelona, Spain, your mind simply cannot process what it sees. Huge spires reach into sky and it towers over every other building in the city. 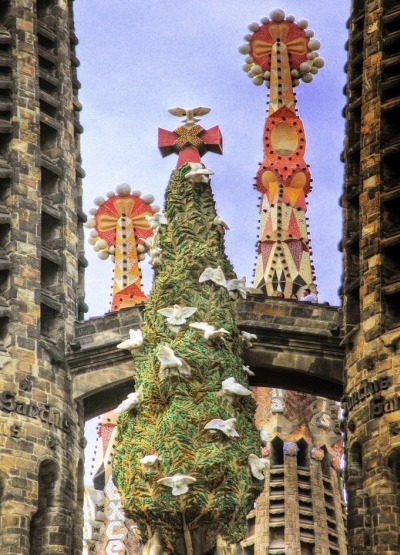 Gaudi’s tower feature unusual posts- even a pile of strawberries! 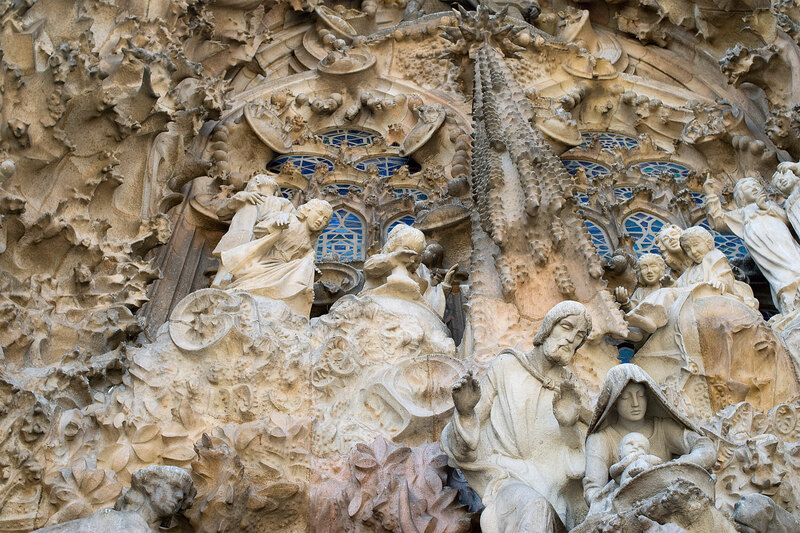 The genius that designed it, Antonio Gaudi, was considered “God’s Architect,” an extraordinarily devout man who recognized that his design was a little complicated and built models for the next architect to follow. Pope Benedict XVI consecrated the Basilica on this very spot a few years ago. 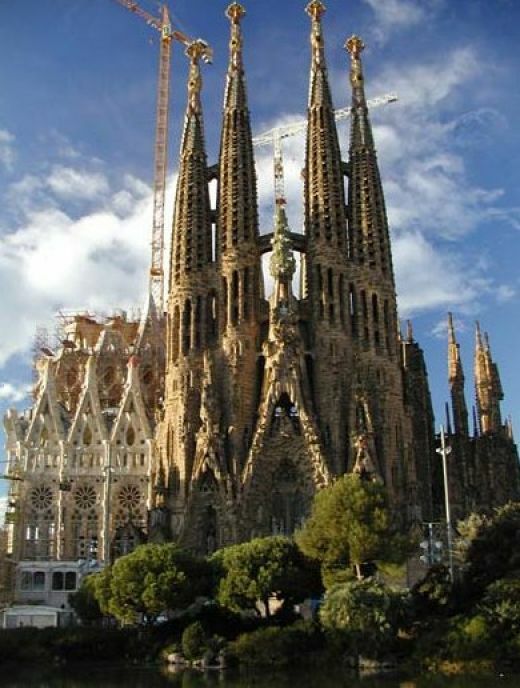 These turned out to be more helpful that he could have known–construction on his church began in 1882 and is still being working on today, making it the longest running architectural project in the world! In the style of Notre Dame, entire families devote their lives to creating this place, and the passion invested in it is as clear and important as the architecture. Even the ceiling is difficult to process! And yet, at the end of the day there are still no words for this place. 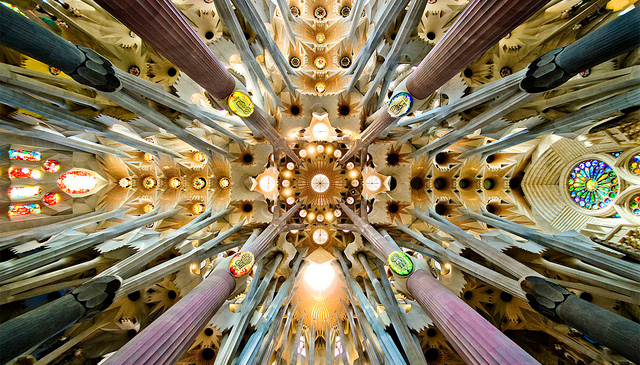 The Sagrada Familia has the capacity to make you feel very small, very important, and very proud to be human all at once. There may be no words, but there are certainly pictures. And if you are as intrigued by the place as we are, come on our April trip to Bordeaux and Barcelona to see this spectacular site for yourself! The entire building is covered in statues, all showing biblical stories. When the columns are lit, it looks like something out of a dream. 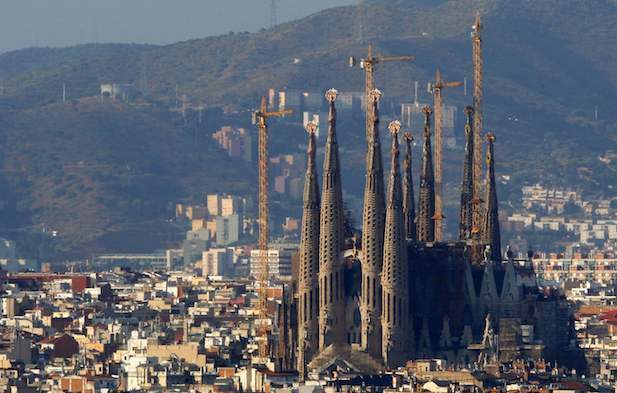 The Basilica towers over all other buildings in Barcelona. The stained glass windows throw incredible colors on the stone inside. Want more information on the world’s most fascinating building site? 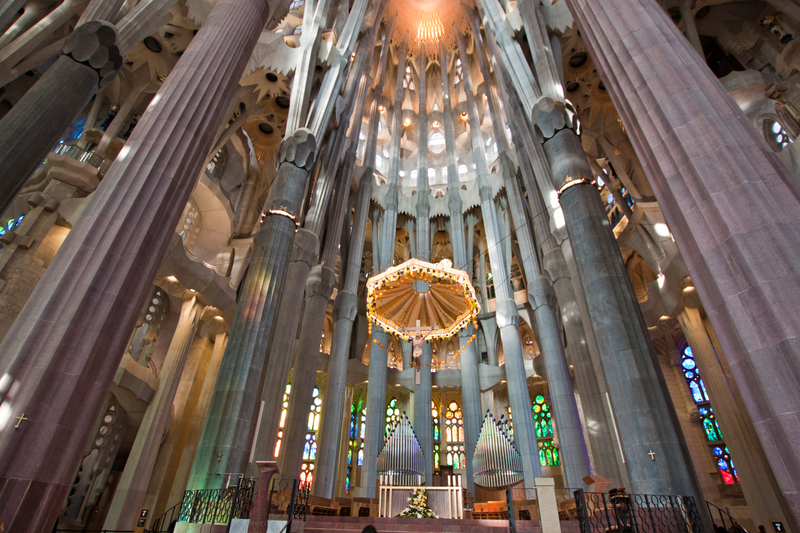 Watch 60 Minutes’ special on the Basilica right here.